-Select from a variety of 100 designs - either from the Home Screen Gallery or from design overlays to use on your own photos. Five easy steps to your very own custom Home Screen wallpaper: To create your own wallpaper design, choose a photo from your camera roll or simply take a photo. After using our unique Crop & Image Editor you are presented with a selection of stunning HD quality Home Screen background overlays. 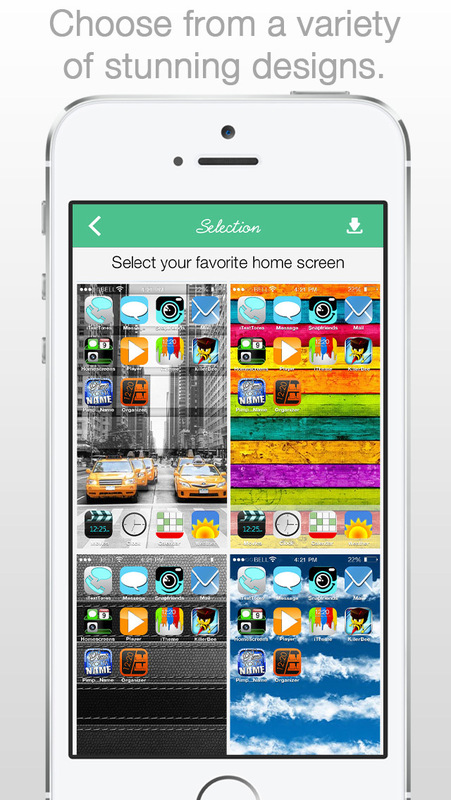 You can then select your desired design and simply save it to your camera roll and set it as your Home Screen wallpaper. Download this app today to impress your friends! 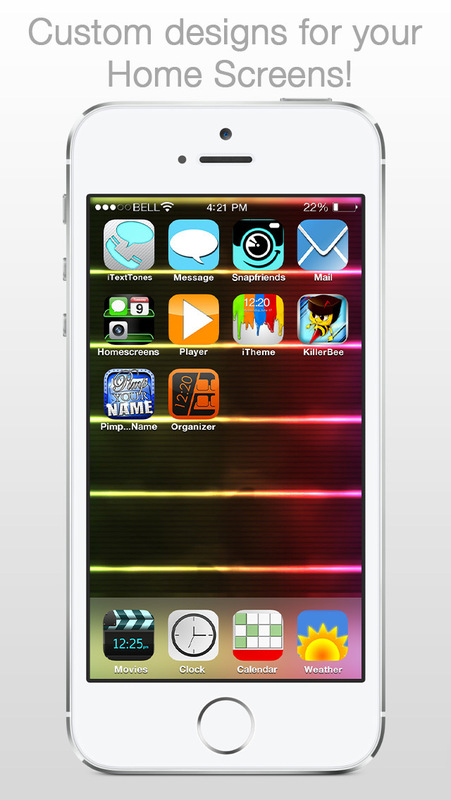 Note: We recommend to deactivate the Parallax effect in the Home screen. - a lot more great content available!